0312203438 Good. No dust jacket. lacking DJ, upper third of FFEP cut away, o/w a decent 1st edition, 1st printing with clean text, tight binding and light wear to exterior, Support Independent Pacific Northwest Booksellers! Sewn binding. Cloth over boards. 512 p. Contains: Illustrations. Audience: General/trade. 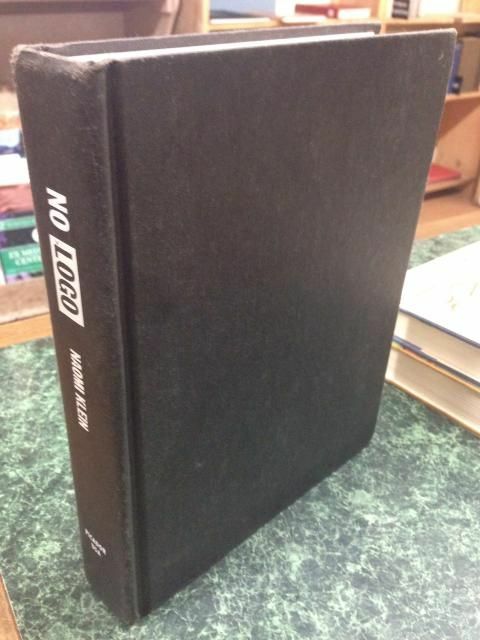 No Logo: Taking Aim at the Brand Bullies is a book by Canadian journalist Naomi Klein. First published by Knopf Canada in January 2000, shortly after the 1999 WTO Ministerial Conference protests in Seattle had generated media attention around such issues, it became one of the most influential books about the anti-globalization movement and an international bestseller. B0007F1QI8 ~Good. No DJ. Ex-Library. Academic library markings/stamps; light to moderate shelf wear; satisfaction guaranteed. 0071354638 ~Very Good. Very Good DJ. Light shelf wear to boards/DJ; satisfaction guaranteed. 0743247469 New. No dust jacket as issued. Brand New! 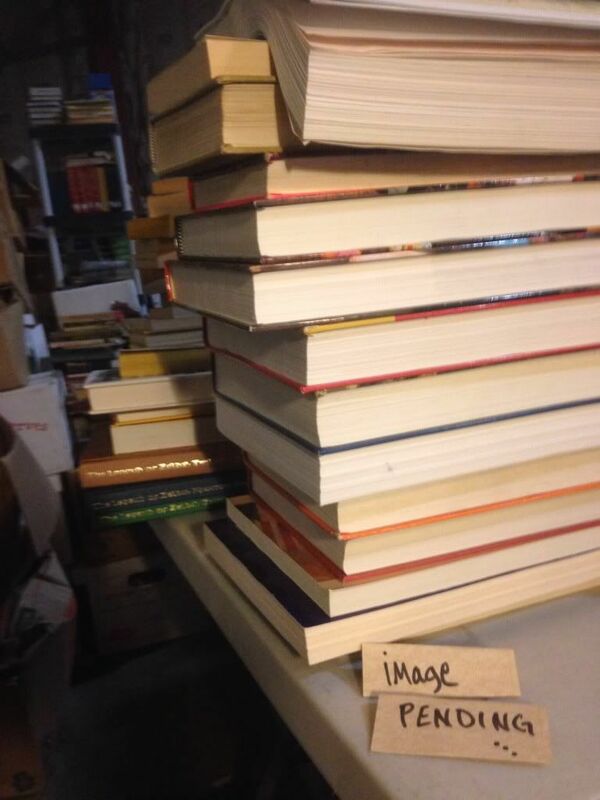 Support Independent Pacific Northwest Booksellers! Trade paperback (US). Glued binding. 240 p. Audience: General/trade. Over the last 150 years the corporation has risen from relative obscurity to become the world's dominant economic institution. Eminent Canadian law professor and legal theorist Joel Bakan contends that today's corporation is a pathological institution, a dangerous possessor of the great power it wields over people and societies. In this revolutionary assessment of the history, character, and globalization of the modern business corporation, Bakan backs his premise with the following observations: * corporation's legally defined mandate is to pursue relentlessly and without exception its own economic self-interest, regardless of the harmful consequences it might cause to others. * corporation's unbridled self-interest victimizes individuals, society, and, when it goes awry, even shareholders and can cause corporations to self-destruct, as recent Wall Street scandals reveal. * Governments have freed the corporation, despite its flawed character, from legal constraints through deregulation and granted it ever greater authority over society through privatization. But Bakan believes change is possible and he outlines a far-reaching program of achievable reforms through legal regulation and democratic control. Featuring in-depth interviews with such wide-ranging figures as Nobel Prize winner Milton Friedman, business guru Peter Drucker, and cultural critic Noam Chomsky, Corporation is an extraordinary work that will educate and enlighten students, CEOs, whistle-blowers, power brokers, pawns, pundits, and politicians alike. 0127859195 ~Good. No DJ, as issued. Light to moderate shelf wear to covers/corners; satisfaction guaranteed. Pencil notes and markings. 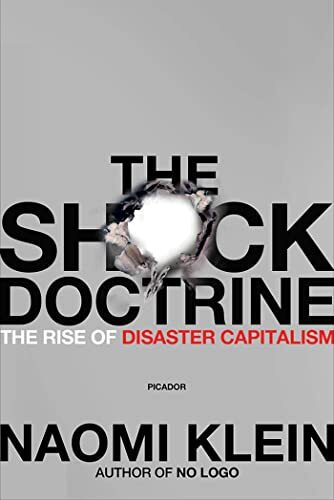 0312427999 The neo-liberal economic policies?privatization, free trade, slashed social spending?that the Chicago School and the economist Milton Friedman have foisted on the world are catastrophic in two senses, argues this vigorous polemic. Because their results are disastrous?depressions, mass poverty, private corporations looting public wealth, by the author's accounting?their means must be cataclysmic, dependent on political upheavals and natural disasters as coercive pretexts for free-market reforms the public would normally reject. Journalist Klein (No Logo) chronicles decades of such disasters, including the Chicago School makeovers launched by South American coups; the corrupt sale of Russia's state economy to oligarchs following the collapse of the Soviet Union; the privatization of New Orleans's public schools after Katrina; and the seizure of wrecked fishing villages by resort developers after the Asian tsunami. Klein's economic and political analyses are not always meticulous. Likening free-market shock therapies to electroshock torture, she conflates every misdeed of right-wing dictatorships with their economic programs and paints a too simplistic picture of the Iraq conflict as a struggle over American-imposed neo-liberalism. Still, much of her critique hits home, as she demonstrates how free-market ideologues welcome, and provoke, the collapse of other people's economies. The result is a powerful populist indictment of economic orthodoxy.